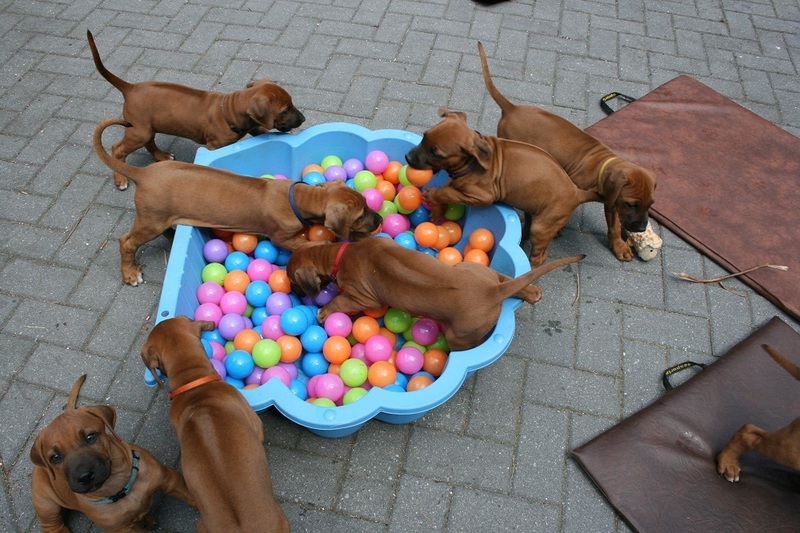 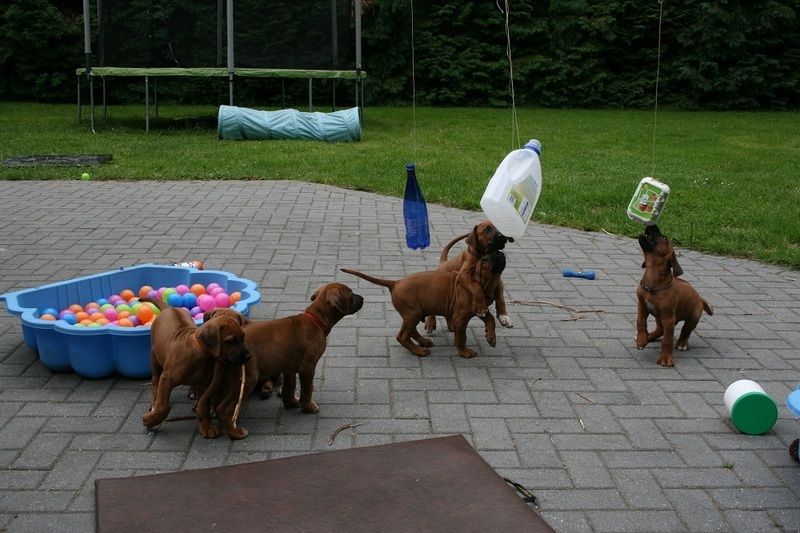 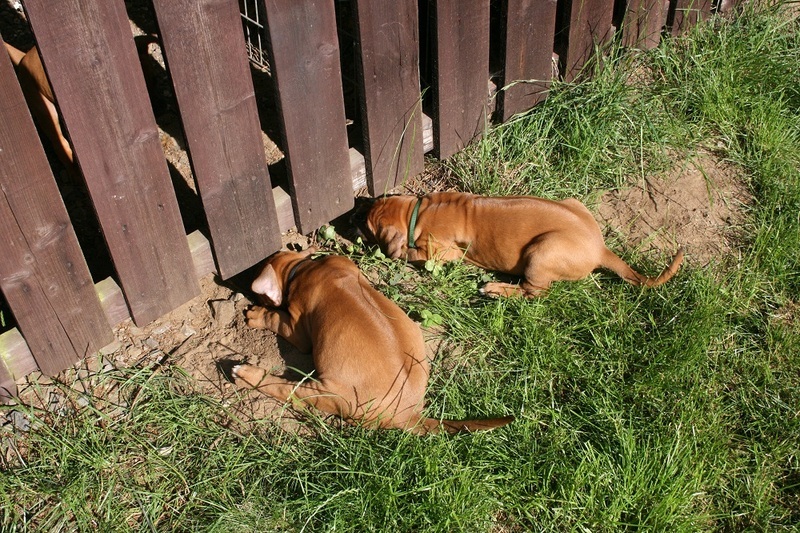 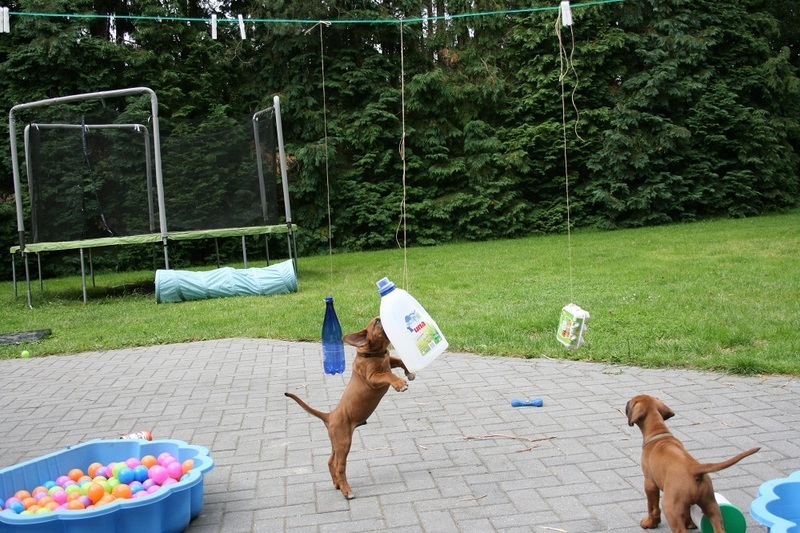 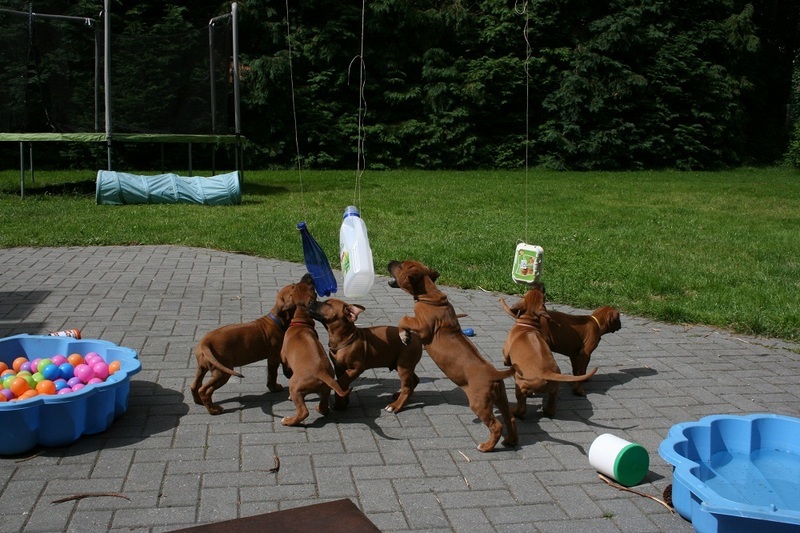 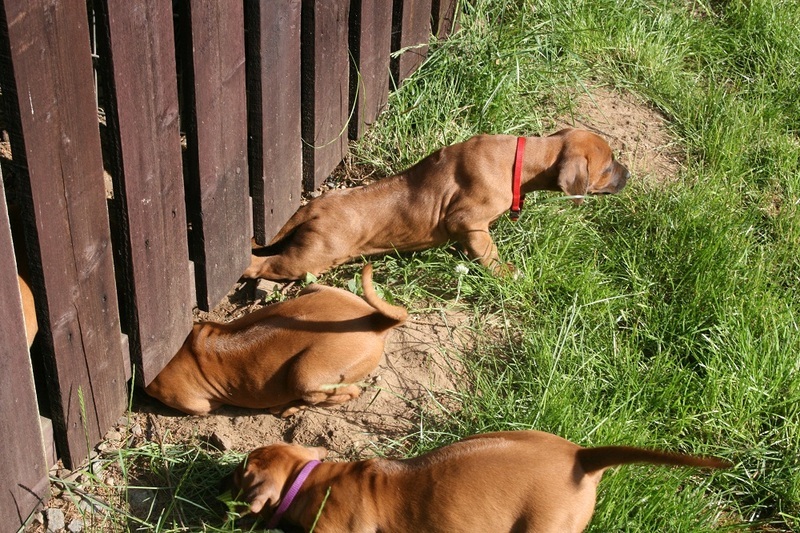 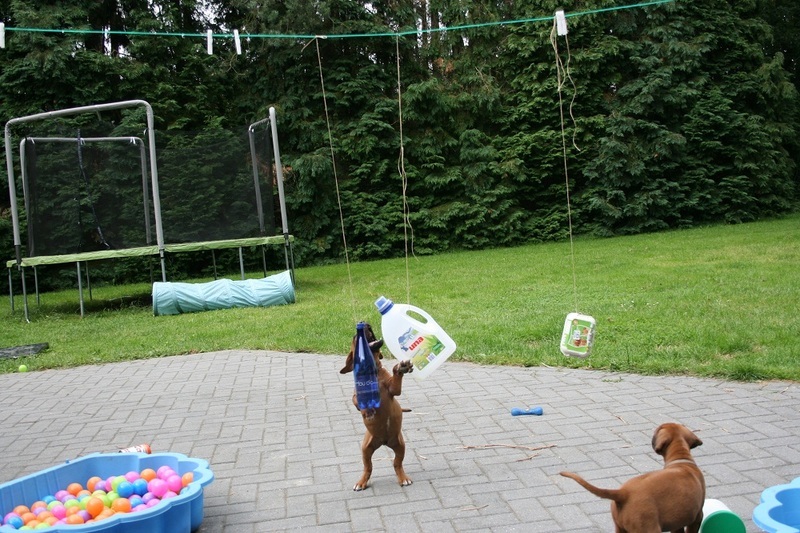 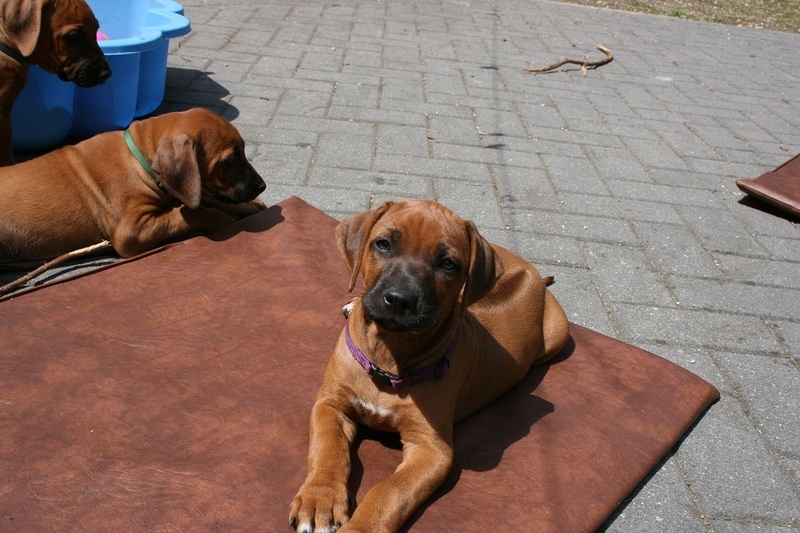 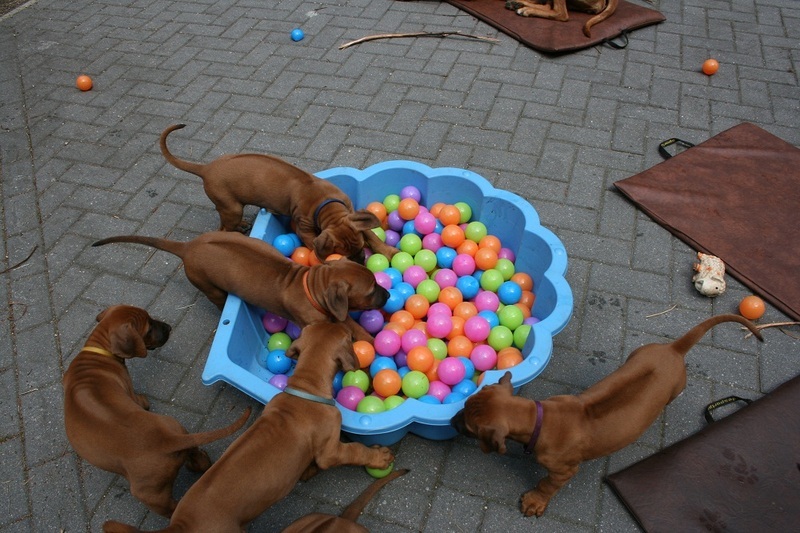 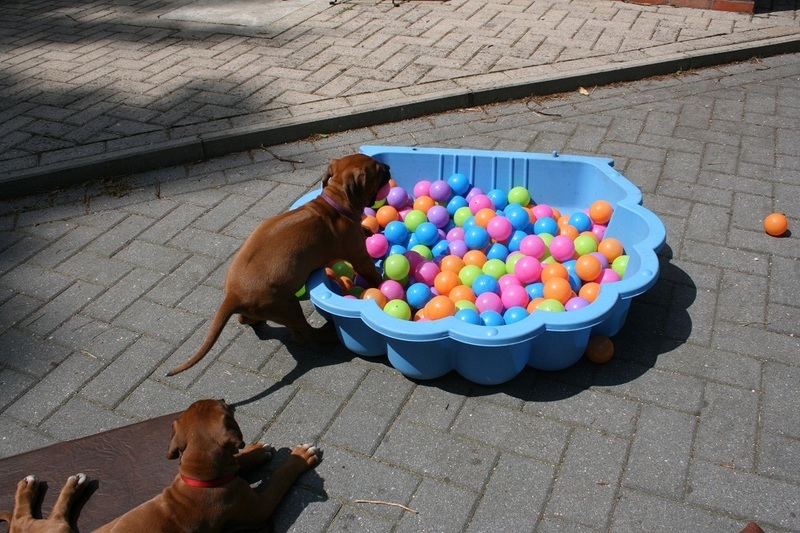 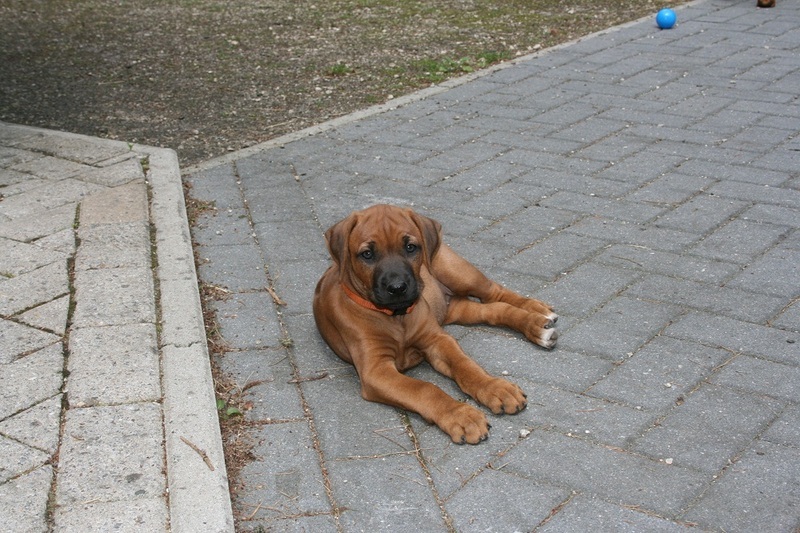 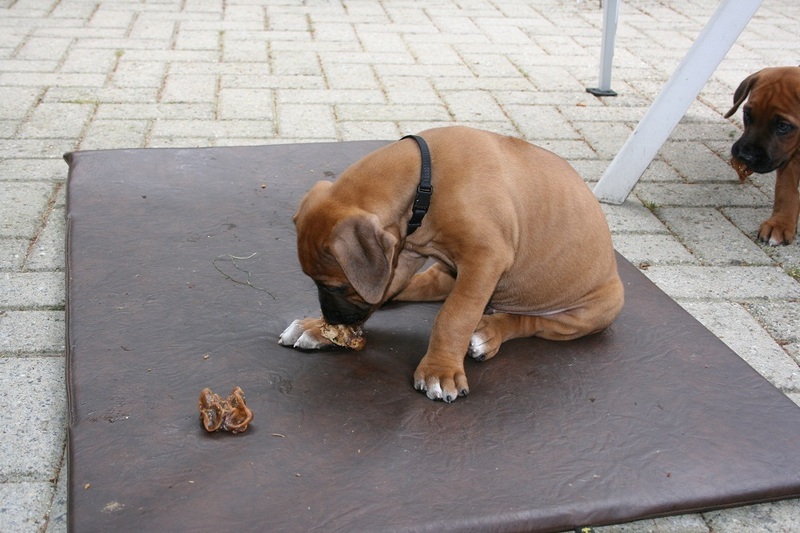 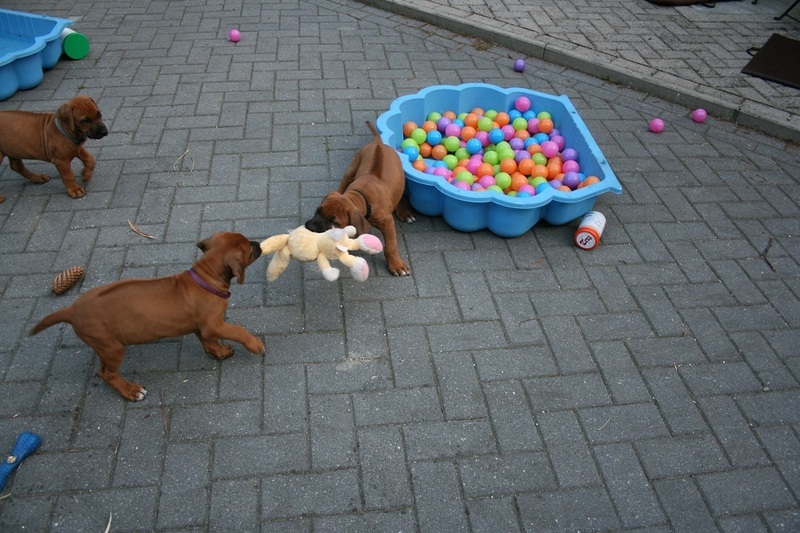 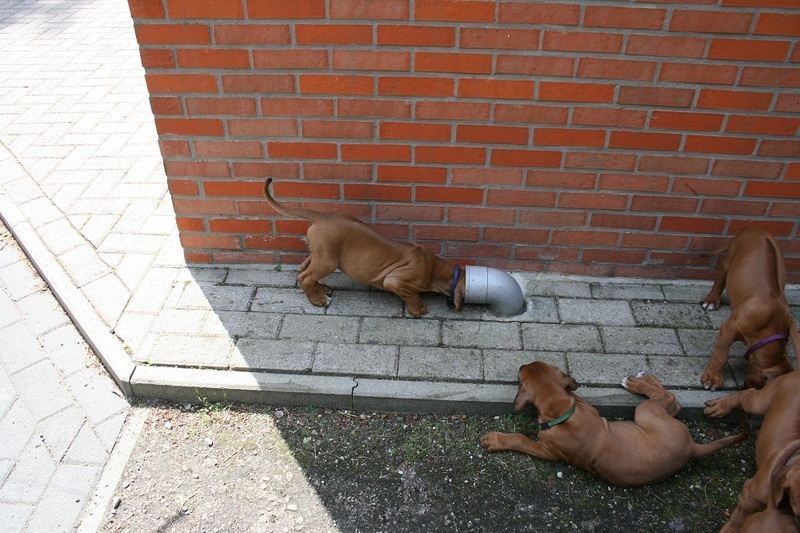 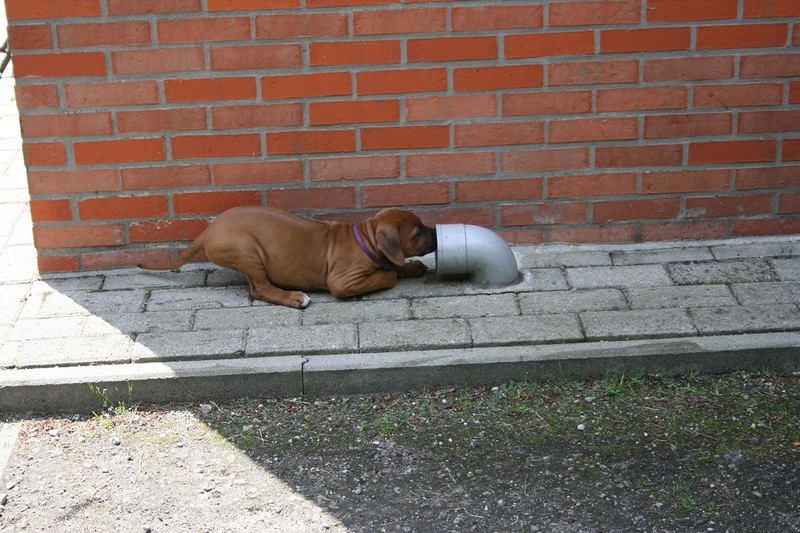 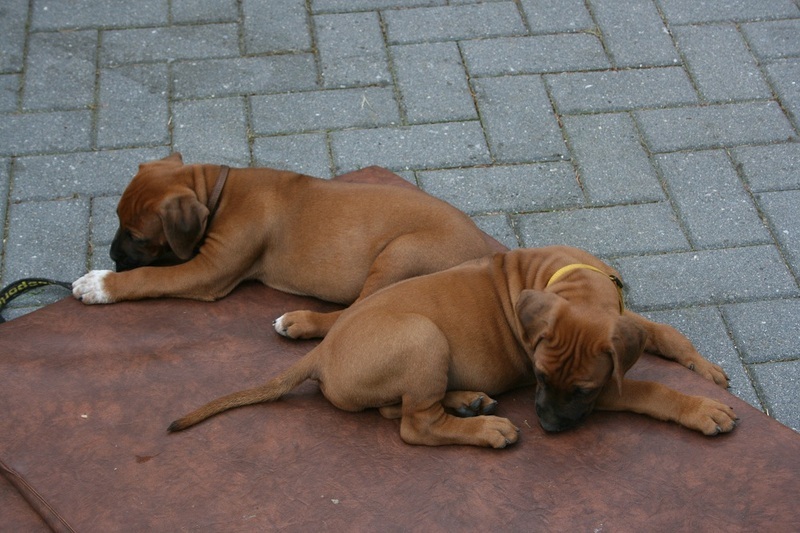 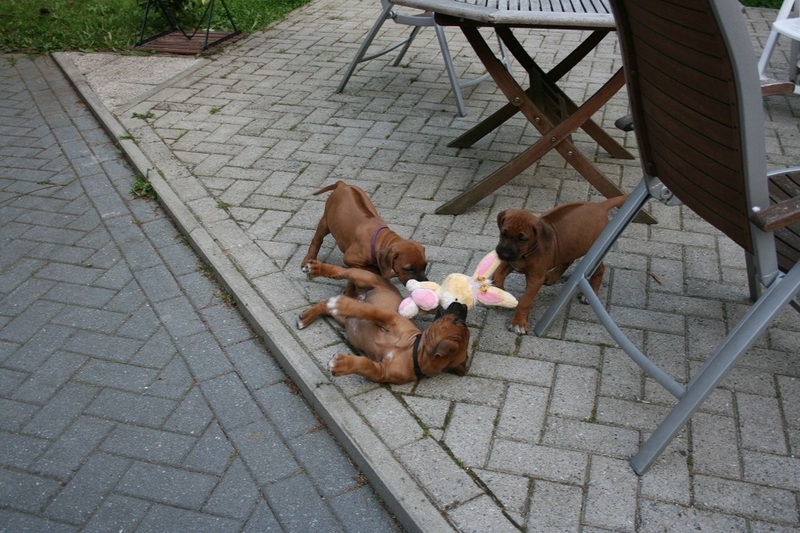 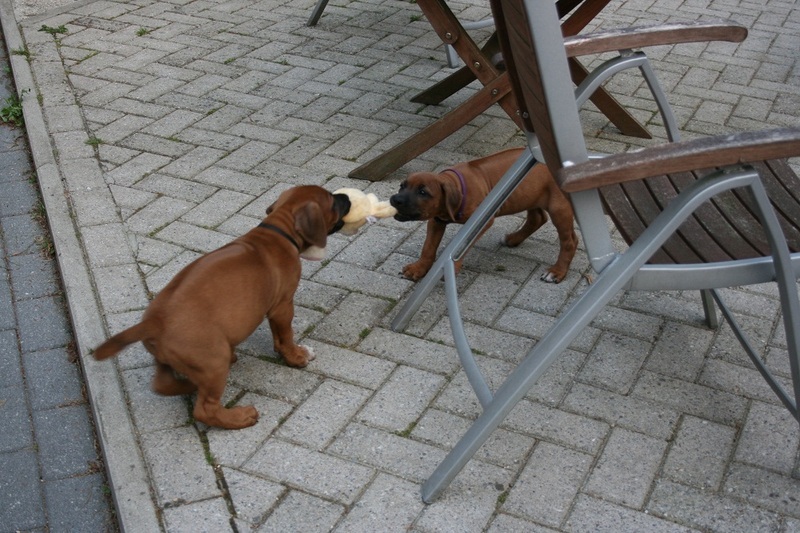 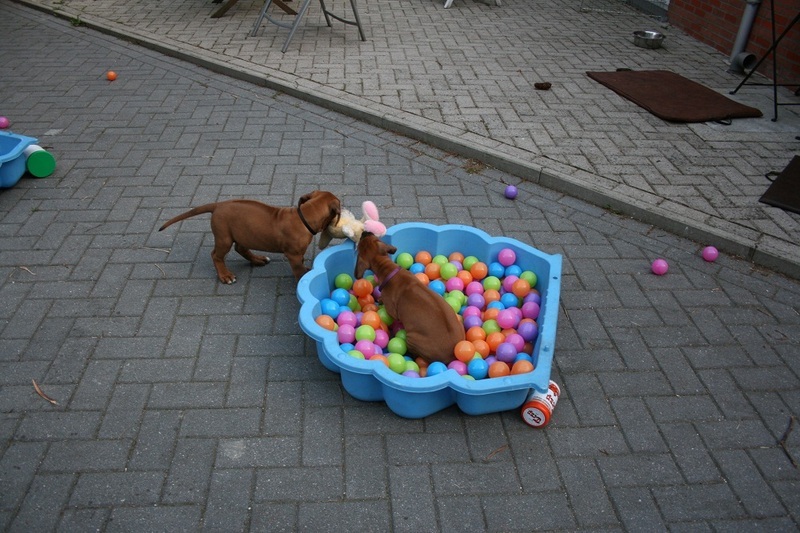 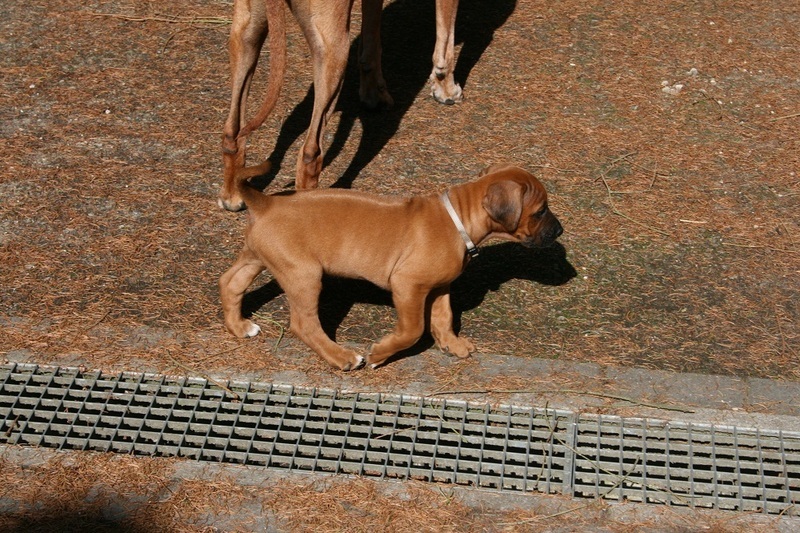 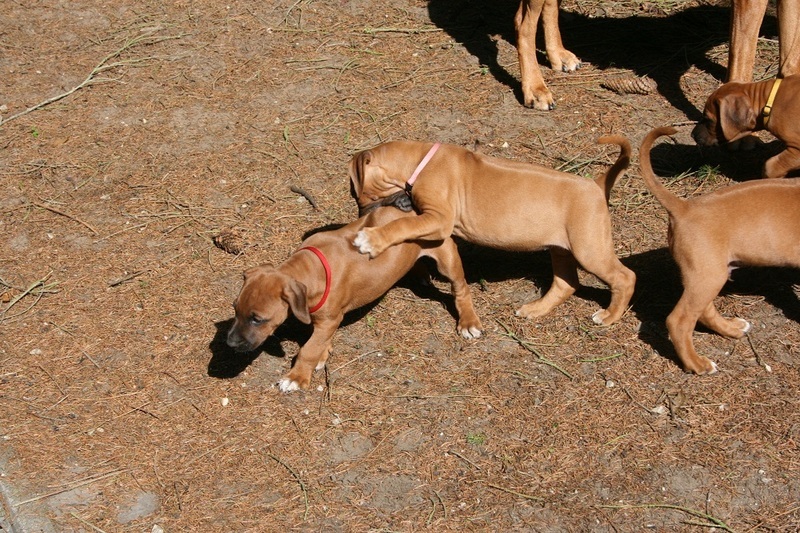 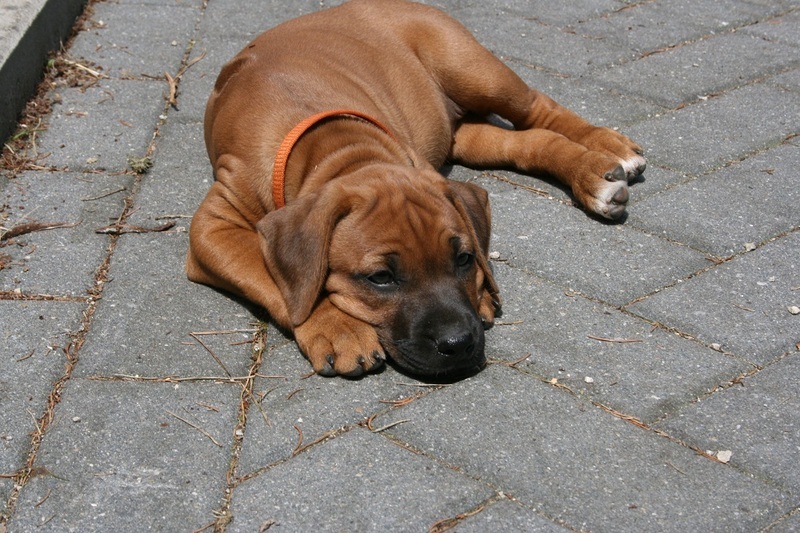 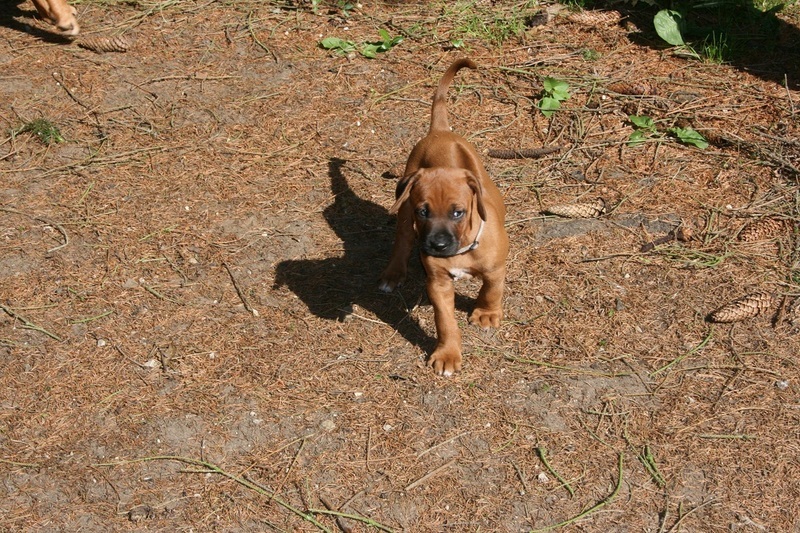 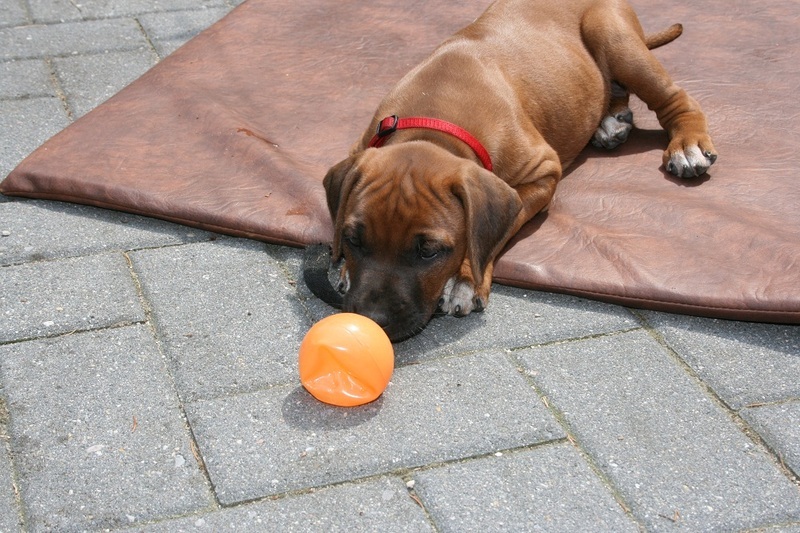 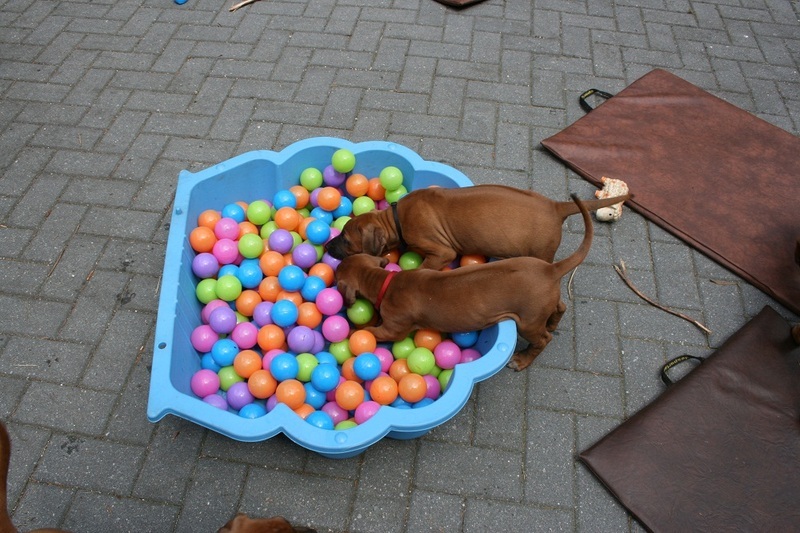 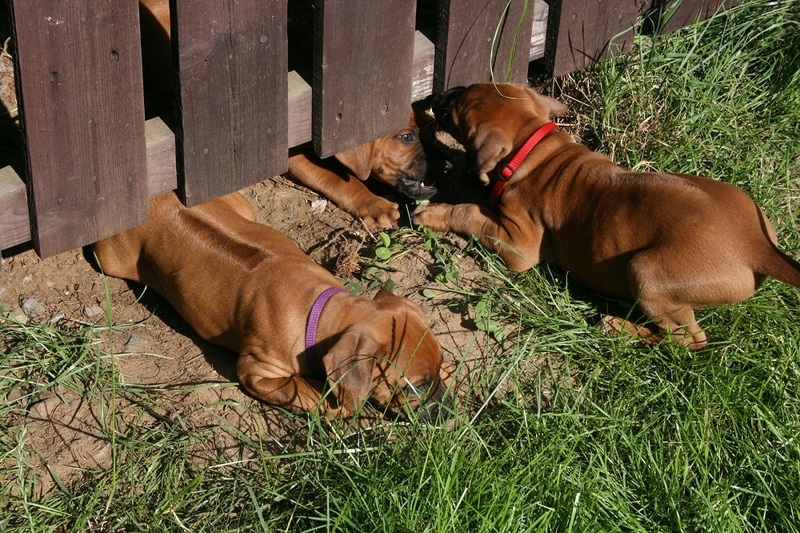 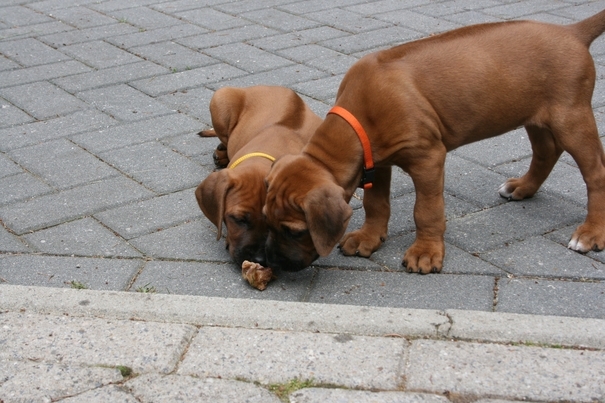 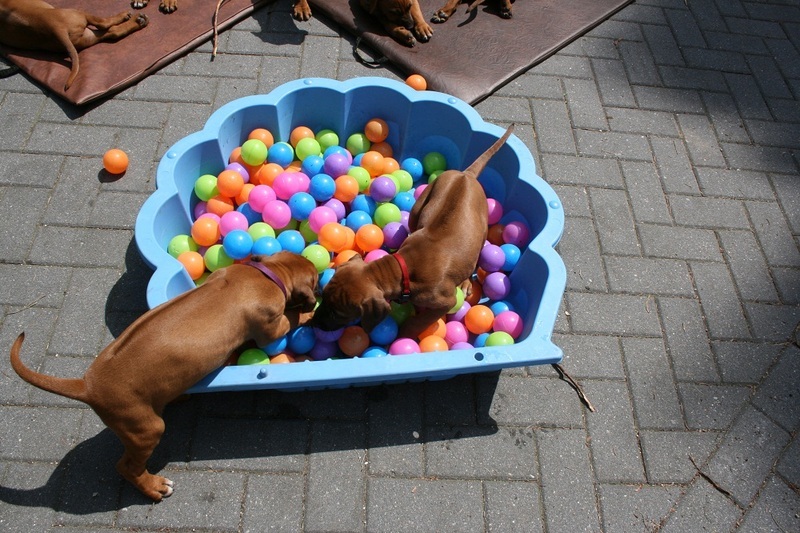 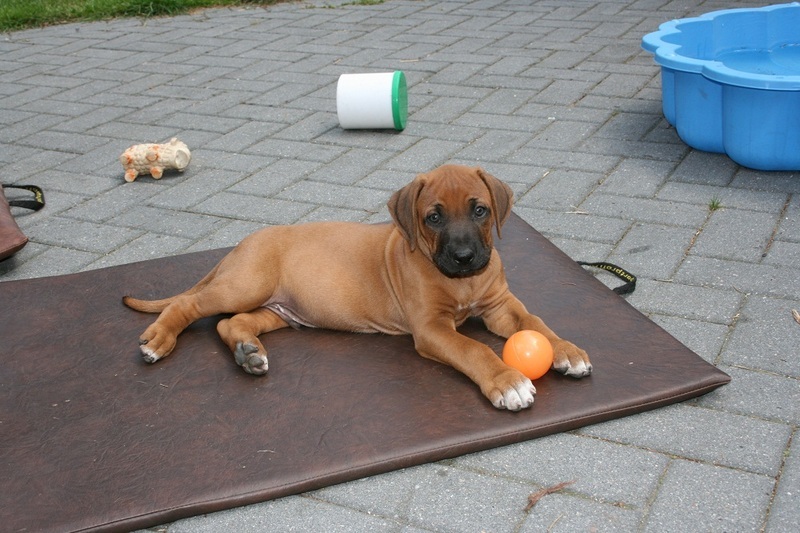 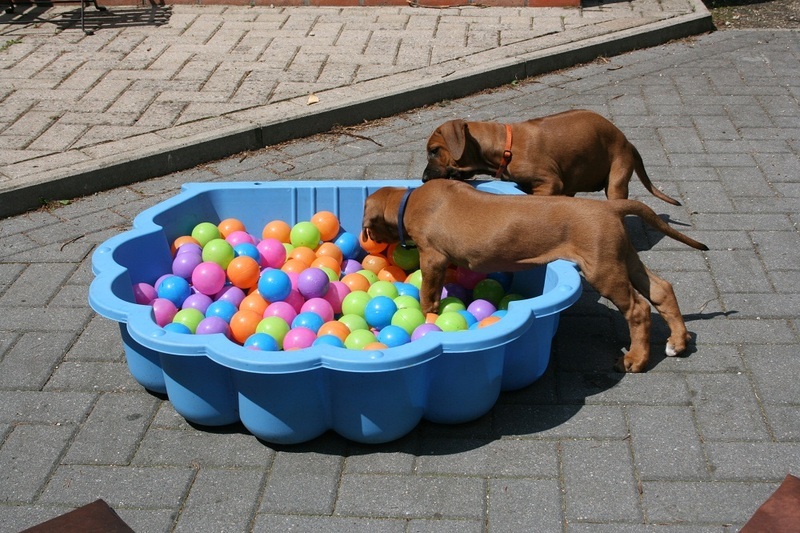 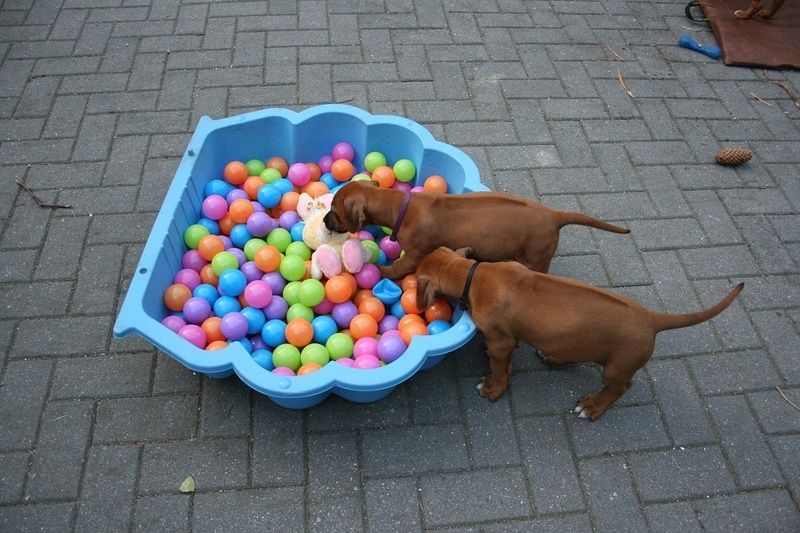 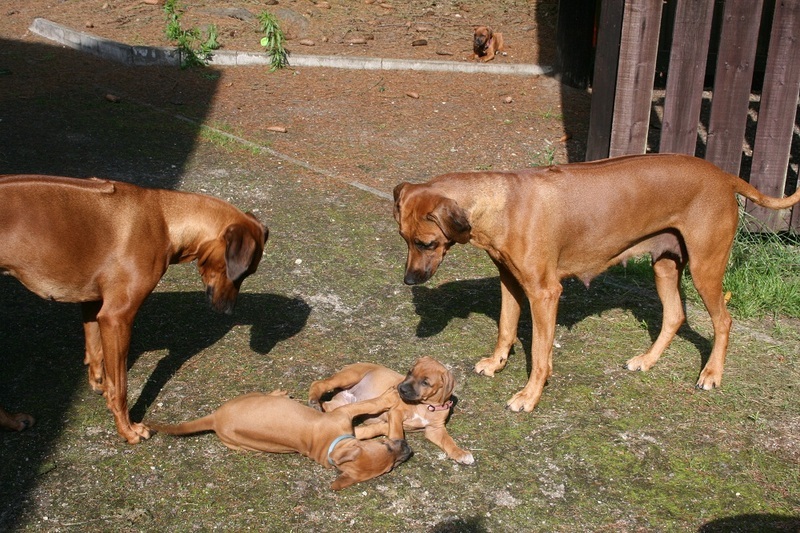 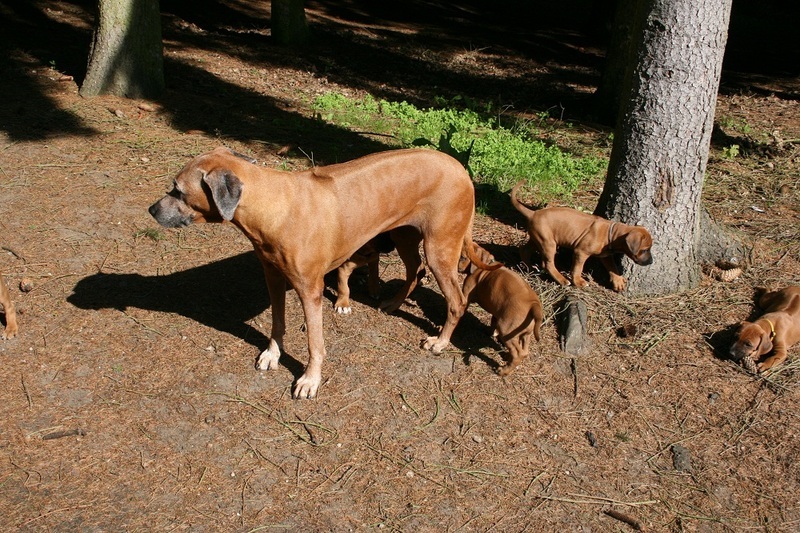 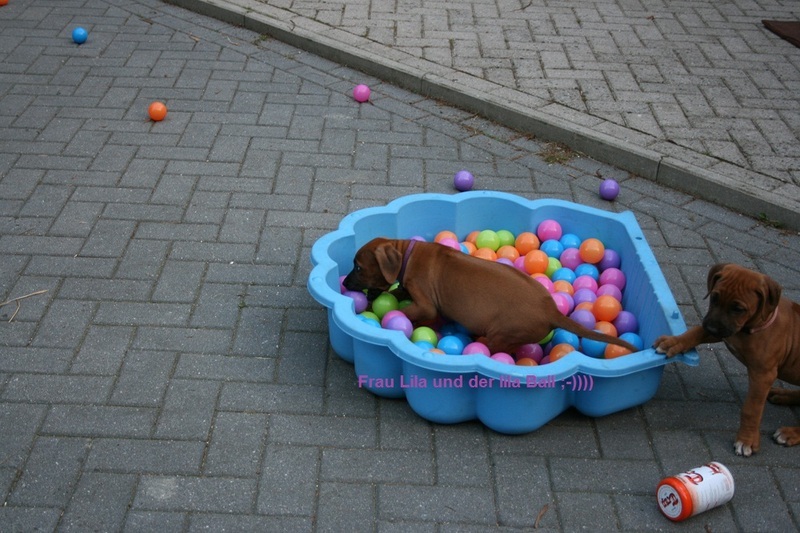 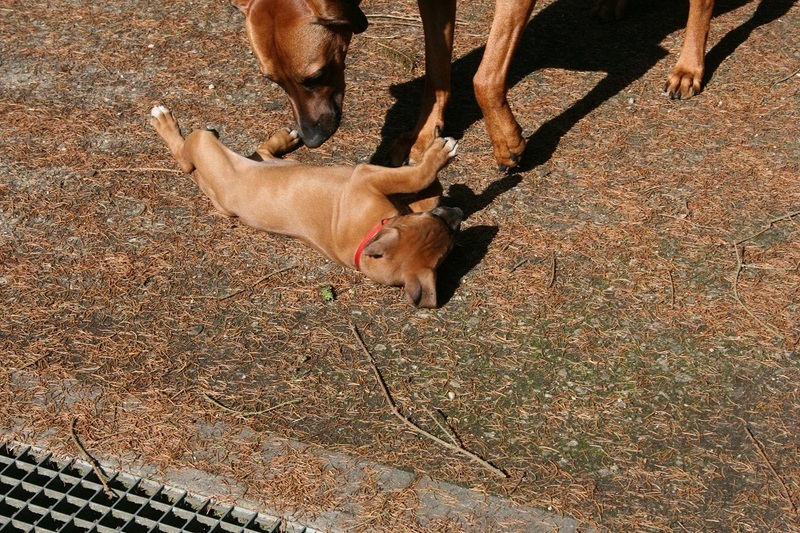 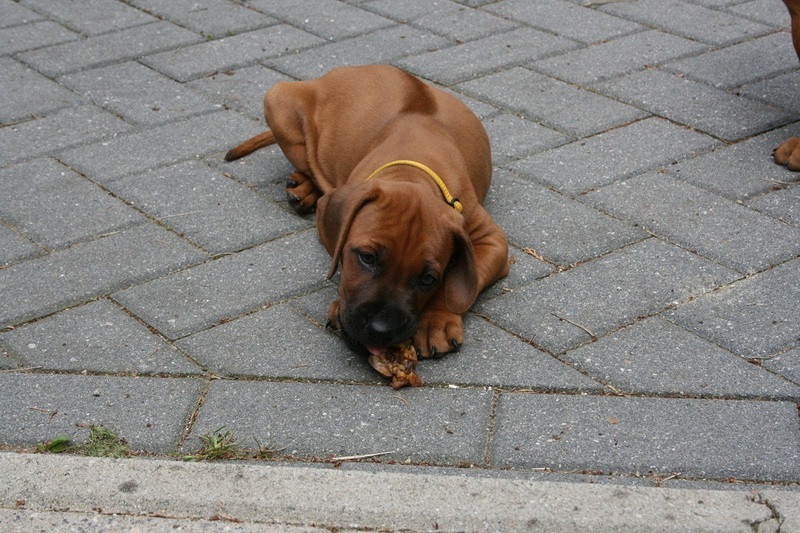 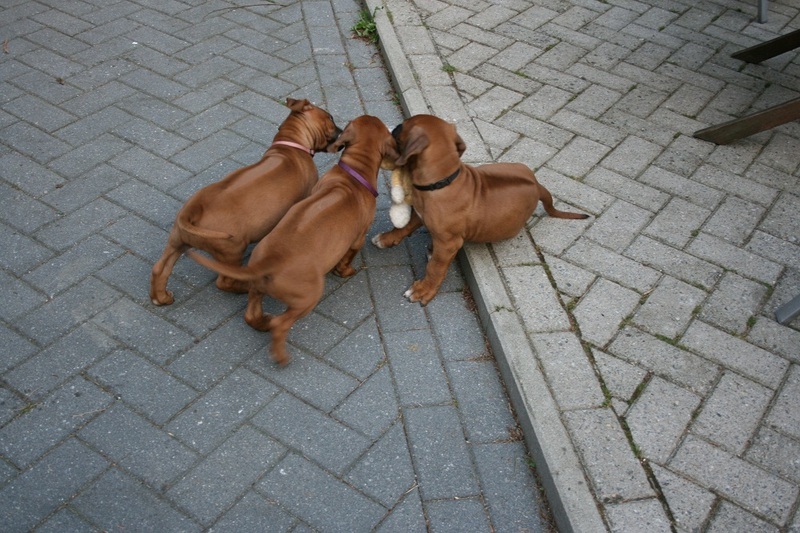 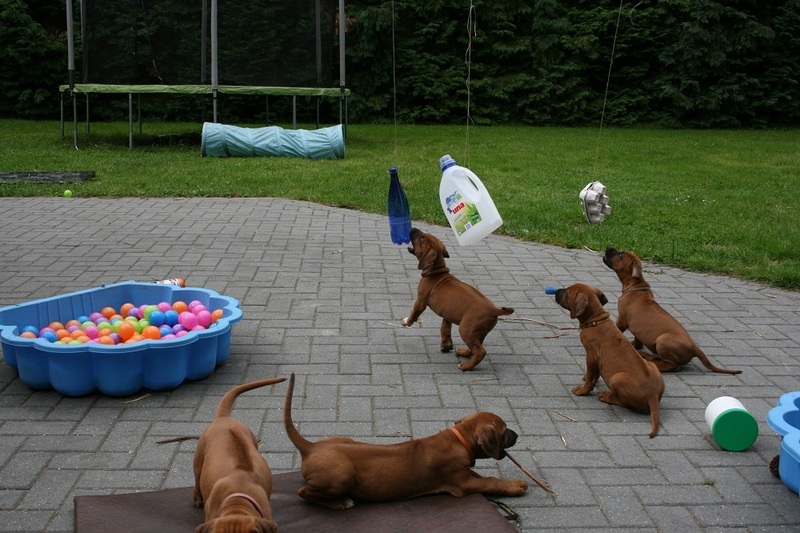 Our breeders had promised us some great new toys for this week, but as they arrived, the quality was nothing for lively Ridgeback puppies ;-(( So they went back immediately. 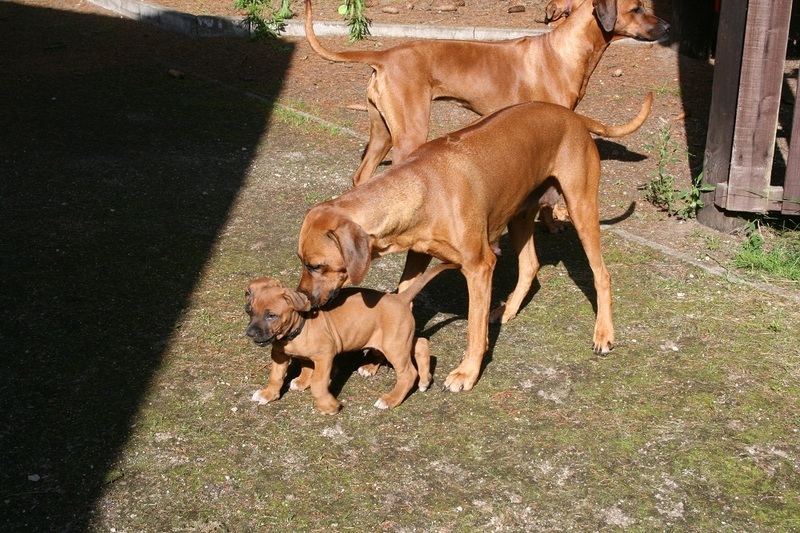 So we have a great garden with many surprises, a big sister, a loving mama and the old Azima who sometimes also plays with us a little bit. 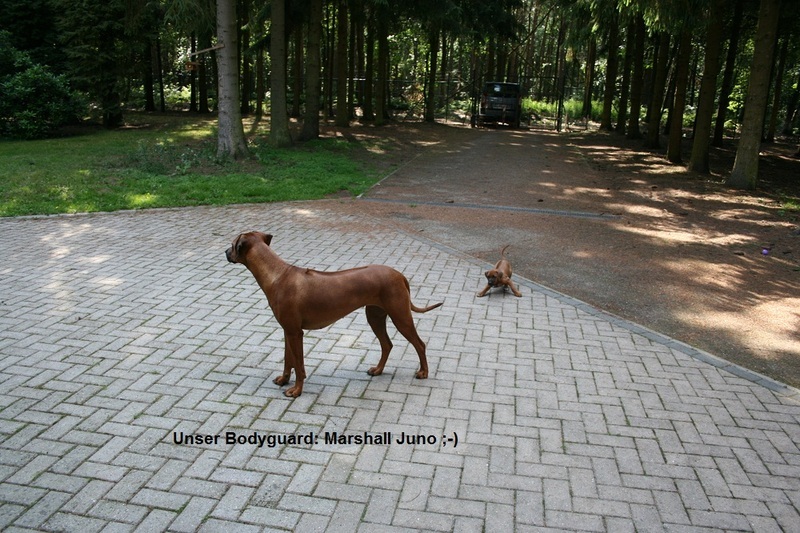 Juno is our bodyguard, she is always watching out so no one can steal us. 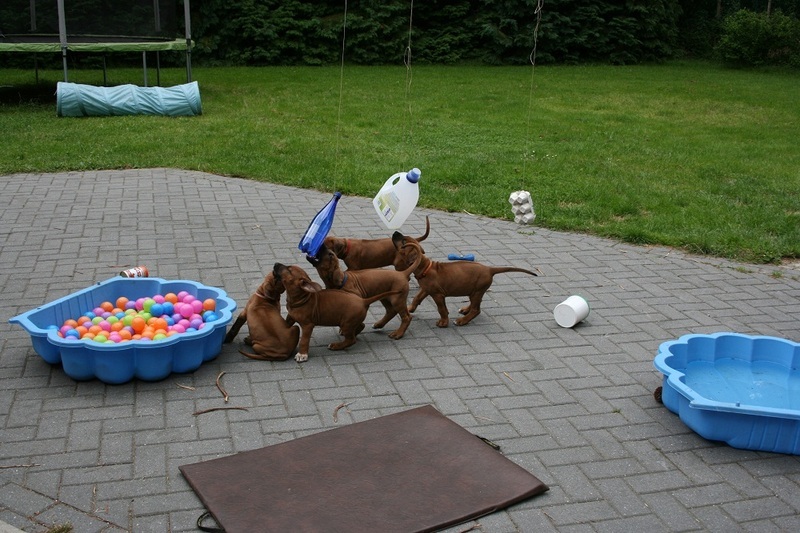 Our breeders are creative so they tinkered a nice new toy. 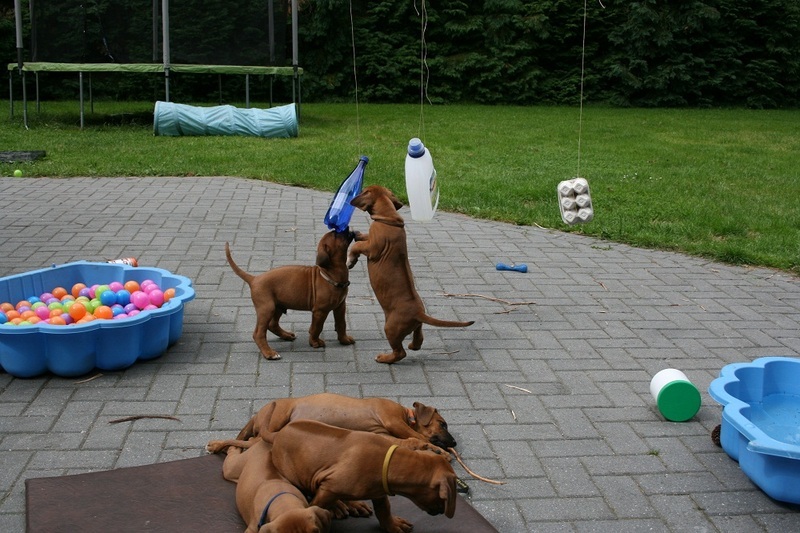 And so ends our 7th week.